IFO++ : Ideas Free and Open Incrementally, තොරතුරු හා සන්නිවේදන තාක්ෂණය හා පරිගණක විද්‍යාව වෙනුවෙන්ම සංවිධානය වූ ලංකාවේ ප්‍රථම ප්‍රදර්ශනය පසුගිය 28,29, හා 30 යන දින වල අති සාර්ථකව පැවැත්වුනා. ලංකාවේ පරිගණක අධ්‍යාපනයට 25 වසරක් සැමරීම වස් කොළඹ විශ්ව විද්‍යාලයීය පරිගණක අධ්‍යයන ආයතනය (UCSC) විසින් මෙය සංවිධානය කරනු ලැබුවා. මේ දැවැන්ත ප්‍රදර්ශනයේ සාර්ථකත්වය පිළිබඳව එය බැලීමට පැමිණි අති විශාල පිරිස සහ ඔවුන්ගේ ප්‍රතිචාර සාක්ෂි දරයි. කිහිප දෙනෙකුගේ අධෛර්යමත් කිරීමට ගත් උත්සාහයන් සුණු විසුණු කරමින් ඔවුන් කිසිවෙක් නොසිතූ ලෙස ප්‍රදර්ශනය ඉතාමත් සාර්ථකව පැවැත්වුණා. මේ ප්‍රදර්ශනයට අපගේ සියලුම වසර වල සහෝදර සහෝදරියන් මෙන්ම ආචාර්යය මණ්ලයද බෙහෙවින් වෙහෙසුනා. ඒ දුෂ්කර කාර්යයේ ප්‍රතිඵල දකින විට අපි හැමෝටම ඇත්තේ වචන‍යෙන් කියා නිම කළ ‍නොහැකි සතුටක්. ඔය තියෙන්නෙ UCSC ගේටිටුව පැත්තෙන් ඉදි කරලා තිබ්බ තොරණ. දෙවන වසර හා පළමු වසර කට්ටිය මේකට ගොඩක් මහන්සි උනා. තෙවන වසරෙ අයියලාගෙනුත් උපදෙස් ලැබුනා. ඔය කණු වල වීදුරු කෑලි අලවලා ලස්සනට හදලා තිබ්බා. දෙවන වසරෙ අපිට ප්‍රධාන වශයෙන් භාර දීපු දෙයක් තමයි Education Zone එක. හැමෝටම පුදුම හිතෙන අත්දැකීමක් එක් කෙරුණු මෙය අති විශාල මවු පුවරුවක් ලෙසින් ඉදි උනේ මංජු සර්ගෙත් උපදෙස් ඇතිව. 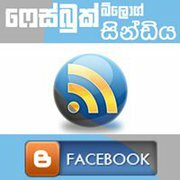 Education Zone එකේ කුටි තිබ්බෙ මේ මවුපුවරුවෙ කොටස් ඇතුලේ. ඇතුල් වෙන්න ඕනි Network Port එකෙන්, මවුපුවරුවෙ රවුමක් ගිහින් ප්‍රොසෙසරේට 2පාරක්ම ගිහින් එහෙම එළියට එන්න ඕනි VGA Port එකෙන්. මේ අතරේ මවුපුවරුවේ ක්‍රියාකාරීත්වය ගැන ඉගෙන ගන්නවත් එක්ක Networking, VR (Virtual Reality),AR (Augmented Reality), Image Processing, Cyber Crimes, General Purpose, FOSS යනාදී දේ ගැන ඉතා හොඳ දැනුමක් දෙන්න කුටි සකස් කර තිබ්බා. ‍නරඹන්නන් ගොඩක් දෙනෙක්ගේ ප්‍රශංසාවට පත් වුනා මේ Education Zone එක. මේක හදලා තිබ්බේ කොහොමත් සාමාන්‍ය ජනතාව සඳහාම තමයි. මේ සියල්ල හැදුවේ දවස් 10ක් ඇතුලත. නිදි මරාගෙන බොහොම වෙහෙස මහන්සියෙන් තමා ඕක ඔය මට්ටමට ගෙනාවේ. දෙවන වසර මෙන්ම ප්‍රථම වසර සිසුන්ගෙනුත් ලොකු දායකත්වයක් මේ සඳහා ලැබුනු බව කිව යුතුමයි. කෙනෙක්ට දැකගන්න ලැබෙන දුර්ලභම දේවල් රාශියක් සමඟ පරිගණක කෞතුකාගාරය ප්‍රදර්ශනය වූයේ විද්‍යාජ්‍යෝති ම‍හාචාර්ය වී.කේ සමරනායක ශ්‍රවණාගාරයේදී. ලංකාවේ ප්‍රථම පරිගණක රාශියක් මෙහි ප්‍රදර්ශනය වුණා. එමෙන්ම අප ආයතනයේ ඉතිහාසය ගැනත් ලංකාවේ තොරතුරු තාක්ෂණයේ විකාශනය ගැනත් නරඔන්නෙකුට හොඳ අවබෝධයක් ලැබෙන පරිදි බැනර් ආදිය ප්‍රදර්ශනය කෙරුනා. මෙම ශාලාවට ඇතුළු වන තැන සකස් කර තිබූ යාන්ත්‍රිකව ක්‍රියා කරන පහන හා නාම පුවරුව සැමගේ පැසසුමට ලක් වුණා. බොහෝ දෙනෙක් එතැන ඡායාරූප ගැනීමටත් පෙළඹුනා. පාසැල් සිසුන්ට හා උපාධි අපේක්ෂකයන්ට විශේෂ සම්මන්ත්‍රණ මාලාවක් පැවැත්වුනා. එමෙන්ම IFO++ වෙනුවෙන් සැකසූ මෙහෙයුම් පද්ධතියක් හා video tutorials රැසක් අංගු DVD එකක් නොමිලේ බෙදා හැරුනා. UCSC සිසුන් විසින් නිර්මාණය වූ අගනා නිර්මාණ බොහොමයක් මෙ‍හිදී ප්‍රදර්ශනය වුනා. මට නම් බලන්න උනේ අත‍ලොස්සක් විතරයි. මොකද මම අපේ Project එක ගාව තමා බොහෝ වෙලාවට හිටියේ. මේ අතරින් මට මතක ඒවා කිහිපයක් සඳහන් කරන්නම්. පිළිගන්න හිටිය IBO රොබෝවා, තරිඳු අයියලාගේ මාර්ග සංඥා හඳුනාගනිමින් ඉබේ හසුරුවන්න හැකි වාහනය, සිම් නැතිව WIFI වලින් call ගන්නට හැකි මෘදුකාංගය, උදය හා එරංග අයියලගේ IFloor එක, කේෂාන් අයියගේ ටච් ස්ක්රීන් එක, අපේ ජනිත, දවුපදී හා අසේල හදලා තිබ්බ විදුලි මීටරය, බ්‍රයන් අයියලාගේ Traffic Control System එක, මෙහෙයුම් පද්ධතියක් නැතිව වැඩ කරන Word Processor එක, රවින්ද අයියලගේ Virtual Black Board එක, කුප්පි දාන්න හදලා තිබ්බ මෘදුකාංගය, File Recovery මෘදුකාංගය, අපේ චතුර, ලක්ඛණ හා සුමේධලාගේ විප්ලවීය Thaprobana game එක සිත් ගත් දේවල් වලින් කිහිපයක්. Mr. Gihan Fernando (creator of Colombo3D mobile game) visiting zone 7 where my project and Thaprobana game was exhibited. තවත්‍ බොහෝ අංග ගණනාවක් ප්‍රදර්ශනය වුනා. ඔය මම සඳහන් කරලා තියෙන නම් ඒවලට තිබ්බ ඇත්ත නම්ම නෙවෙයි. කියවනකොට ඒවා තරමක් සාමාන්‍ය දේවල් ලෙස නොබලපු කෙනෙක්ට හිතෙන්න පුළුවන්. නමුත් බලපු අය දන්න‍වා කොච්චර දියුණු තාක්ෂණයක් යොදාගෙන තිබ්බද කියලා. Science Faculty එකෙන් අපිට ඉලෙක්ට්‍රෝනික් උගන්නන්න එන සර්ගේ ප්‍රතිචාරයෙන් යමක් සඳහන් කරන්න හිතුනා. ඔහු කීවා ‍අපේ අයගේ Researches ගොඩක් පුළුල් ක්ෂේත්‍රයකට ගිහින් තියෙනවා කියලා. මමත් උපේෂලත් එකතු වෙලා හැදුවා Face Recognition System එකක් මඟින් වාහනයක් පනගන්වන්න හා පාලනය කරන්න හැකි පද්ධතියක්. ගොඩාක් හොඳ ප්‍රතිචාර ලැබුනා. 2න්නෙක් Contact Details අරන් ගියා එයාලට මේක හදලා දෙන්න කියලා. තව ගොඩක් හොඳ ප්‍රතිචාර දක්වපු අය ඉන්නවා. සමහරු කියනවා Patent ගන්නලු concept එකට. කොහාම හරි ගොඩක් සතුටු හි‍තුනා කට්ටිය‍ගෙ ප්‍රතිචාර දැක්කම. අපේ Project එකට උදවු කළ අමිල අයියා, ඉන්ද්රජිත් අයියා, තරිඳු අයියා හා Project එකක් කරන්න උනන්දු කරපු අපේ ජ්‍යේෂ්ඨ අයියලාට බොහොම ස්තුතිවන්ත වෙනවා. ඒ වගේම Demonstration වලට උදවු කළ Junior batch එකේ අයටත් ස්තුතියි. ප්‍රදර්ශනයේදි හැම කුටියකම පාහේ භාෂා 3න්ම ඉදිරිපත් කිරීම් කෙරුනා. ඒ නිසා දමිල සිසුන්ට වගේම විදේශිකයන්ටත් ප්‍රදර්ශනය නැරඹීම ගැටළුවක් වුනේ නෑ. කාර්යය මණ්ඩලයෙන් ලැබුනු සහයෝගයත් මතක් කරන්න ඕනි. නිර්මාණ කටයුතු වලට වලට 1වන හා 2වන වසර සිසුන්ගේ බෙහෙවින් වෙහෙසී කටයුතු කළා. 3වන වසර සිසුන් ප්‍රධාන සංවිධාන කටයුතු නියමාකාරයෙන් ඉටු කළා. 4 වන ඩසර අයියලා අක්කලත් ගොඩක් දායක වුනා. අපි හැමෝගෙම එකමුතුවෙන් තමා ඔබට මේ වගේ සාර්ථක යමක් ඉදිරිපත් කරන්න හැකි වුනේ. UCSC වෙනස ඒකයි කීවොත් මා නිවැරයි. විද්‍යාජ්‍යෝති ම‍හාචාර්ය වී.කේ සමරනායක මහතාගේ එදා වූ අනාගත දැක්ම හා එතුමා ඉටු කළ මහා සේවය මනාව මල් ඵල දරා ඇති බැවි පසක් වන එක් අවස්ථාවකි මේ. අත්දැකීම් ගොඩක් එක්ක IFO++ ඉවර උනත් ඒ මතකයන් කවදාවත් අමතක වෙන එකක් නෑ අපි කාටවත්. The phpBB Team was recently approached by Microsoft and asked to develop a bulletin board system for their .NET platform. This board will power their MSDN Social network and will be released to the community under a freeware license for smaller boards, with commercial licensing options available for larger communities. With Microsoft’s financial backing, phpBB is proud to announce that development focus is switching to this project, and the phpBB Group is being renamed to ASPbb Incorporated. phpBB 3.0.7 has already been ported to ASP.NET and phpBB.com has actually been using it for the past several hours (urls are being rewritten to .php files to maintain bookmarks and search engine ranking). Additionally, we are working with web hosts to automatically convert phpBB3 boards to ASPbb 1.0 within the next several days. Boards with greater than 30 users or 100 topics will have ASPbb’s licensing fees added to their hosting bill with their next payment. Those refusing this update will be fined, forcefully converted to ASPbb, and sent an angry letter by our law firm of Dewey, Cheetam, and Howe. We will pursue all such cases to the fullest extent of the Internet Regulatory Code 16.8.16.b.b. As part of the licensing agreement, MOD and Style authors will need to register for an alteration license from Microsoft. A registration form and payment collection page will be available shortly. These styles and modifications will be sent through a thorough approval process, and we anticipate their availability in the ASPbb store approximately six months after submission. These changes are intended to help stimulate the ASPbb (formerly phpBB) Community. We believe ASP.NET to be the premier web development platform for the future, and hope the community will help during this transition period. So sad. Have to pay for phpBB? මගේ බ්ලොග් අඩවියට පැමිනි ඔබ සාදරයෙන් පිළිගනිමි. සෑහෙන කාලෙක ඉඳන් තිබ්බ ආසාවක් මේක. හැබැයි ඒ කාලෙ ඉඳන්ම මට ඕනි උනේ කරන්නන් වාලේ බ්ලොග් එකක් නොකර අර්ථවත් යමක් කරන්නයි. සමහරු අහයි ඇයි මෙව්වර පරක්කු උනේ කියලත්. කොහොමහරි ඔන්න මම ඒ වැඩේට අත ගැහුවා කියමුකෝ. ඉතින් ඔන්න ඹ්ගොල්‍ලො හැමෝගෙම උදව් ඕනි මේක සාර්ථක කරගන්න. මම හිතනවා ආධුනික ම‍ට ලොකු සහයෝගයක් ලැබෙයි කියලා ප්‍රවීන ඔබෙන්…. Even though I had the idea of making a blog for myself a long time before I wanted to make it somewhat different. So dear friends, I need the support of you all to make this a successful one. Please be kind enough to leave a comment in my posts here. They will help be a great help for me to give you something better in the future….